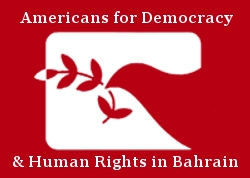 In October 2013, Americans for Democracy & Human Rights in Bahrain (ADHRB) began a program to help raise awareness for cases of individuals who have been victims of human rights abuses in Bahrain or the broader Gulf region. Through this program, ADHRB is able to complain on behalf of the individual victims to the Special Procedures offices of the United Nations. The Special Procedures are independent human rights experts, based out of Geneva, Switzerland, that report to the United Nations Human Rights Council. The Special Procedures offices are made up of Independent Experts, Special Rapporteurs, and Working Groups, and there are Special Procedures offices for both thematic areas of human rights as well as specific countries. Some of the thematic areas include torture, the situation of human rights defenders, and arbitrary detention, among many others. The Procedures receive complaints from individuals who allege that their human rights have been abused, and they can receive complaints from any Member State of the United Nations, regardless of if the country has signed the Optional Protocols allowing for individual complaints to a particular treaty body. Once a complaint is received, the Procedures submit the complaint to the offending government, seeking an explanation regarding the allegations. Over the next several months, Rapporteurs communicate between the source of the complaint and the offending government, asking the source for its response to the government’s reply and vice versa. At the end of the process, the Procedures publish the allegations in a Joint Communications Report ahead of the next Human Rights Council session. In addition, the Working Group on Arbitrary Detention (WGAD) may issue official Opinions regarding the status of detained individuals when applicable, and the Working Group on Enforced and Involuntary Disappearances (WGEID) can request the government to clarify and make known the whereabouts of a disappeared person. While ADHRB’s efforts may not result in the release of these individuals from prison, the international pressure caused by the UN attention to their cases has sometimes resulted in better conditions of their detention. In addition to these communications from the United Nations, ADHRB uses the information received in its Complaint Program to further advocate for individual victims of rights abuses as well as to highlight ongoing and thematic rights violations in Bahrain and the Gulf. ADHRB communicates information about cases to partner organizations including Human Rights Watch, the Project on Middle East Democracy, and Amnesty International. ADHRB also uses the information to update relevant Ministries of Foreign Affairs and Embassies, European Parliament, US Congress, and other relevant US entities, including the Department of State, Tom Lantos Human Rights Commission, and the US Commission on International Religious Freedom. Some outcomes of these communications include joint letters, reports, Parliamentary questions, social media posts, and joint statements highlighting individual cases and general rights abuses. These efforts have resulted in questions raised in European Parliament, and open letters on cases like those of Habib Ali Mubarak and Hani and Husain Marhoon, and extensive advocacy on behalf of Hakeem AlAraibi. ADHRB also publishes weekly Profiles in Persecution, highlighting individual cases and demonstrating the abuses that even prisoners who are not high-profile political figures are subjected to in Bahrain. These cases are also raised in oral interventions made by ADHRB and its partners before the Human Rights Council in Geneva three times a year. ADHRB’s complaint process is two-fold and spans multiple continents. First, ADHRB engages with the victim and explains the process of communicating with the Special Procedures. This is an important first step, as ADHRB never submits a complaint without first obtaining the informed consent of the victim or an authorized representative. If the victim consents, ADHRB can begin gathering the information necessary for the complaint. Generally, this involves asking the individual to provide a narrative description of the abuse they endured. ADHRB can receive information in either Arabic or English. Once the information and informed consent have been obtained, ADHRB processes the information and drafts a complaint to the Special Procedures offices, who decide whether to submit the information to the offending government in the form of an Allegation Letter or an Urgent Appeal, depending upon the circumstances of the case. If the Special Procedures offices send a communication, the process can go in one of two ways. If the offending government chooses to respond, the Procedures will pass the response to ADHRB and ask for a reply. This process repeats itself until either the government stops responding or the Procedures are satisfied that they will not obtain new information, and the communication will be published on the OHCHR site, along with the government’s response. If the government does not respond, the communication will be published on the OHCHR website after a period of 60 days has passed. Throughout this period, ADHRB will send any relevant updates to the Special Procedures offices on the cases we cover. Once the Communication is published, ADHRB will inform the victim or their family, and send them a copy of the communication. ADHRB also uses these communications to create its analysis of each Report ahead of the Human Rights Council session. Are you or someone you know a victim of a human rights violation in Bahrain, Saudi Arabia, Oman, Qatar, Kuwait, or the United Arab Emirates? Documenting human rights violations with ADHRB is a way to ensure that the perpetrators do not get to continue their bad acts in silence. Simply documenting your case and the violations you went through is a way to gain some form of justice, regardless of how long the process takes. There is power in a victim’s voice being heard. If you are interested in ADHRB raising your case and advocating on your behalf, fill out the forms below, and we can process your complaint and bring it before the Special Procedures of the United Nations. You can also contact us at UNComplaints@adhrb.org if you want to better understand the process before deciding whether or not to submit. We are always available to help in whatever way we can.